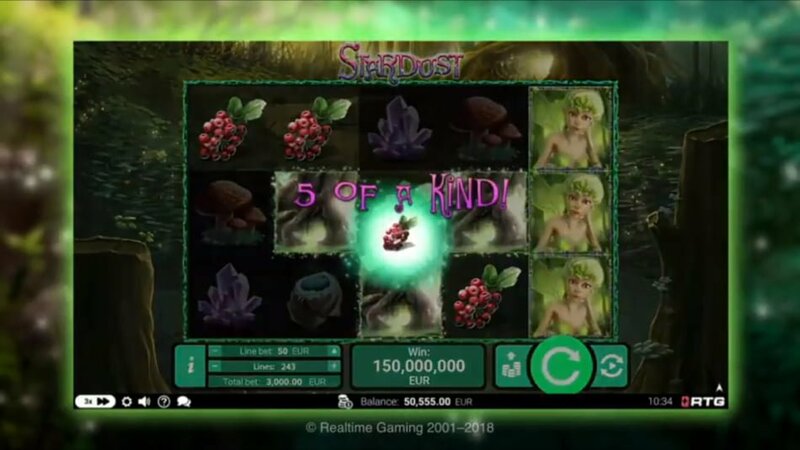 Stardust slot now available to play at RealTime casinos is a low to medium variance video slot that has 5 reels, it allows players to cash in on an All Ways Pays system. 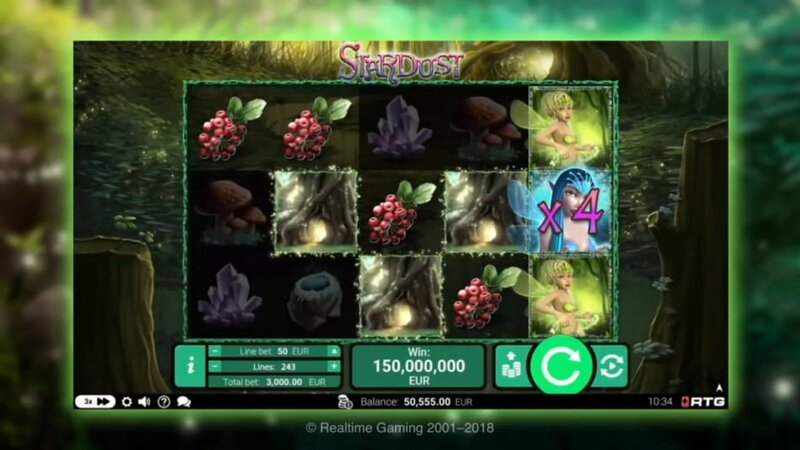 The theme of this impressive fantasy slot machine is about Wild Fairies set in a mysterious forest glade, suffice to say it gives players a score of winning opportunities. 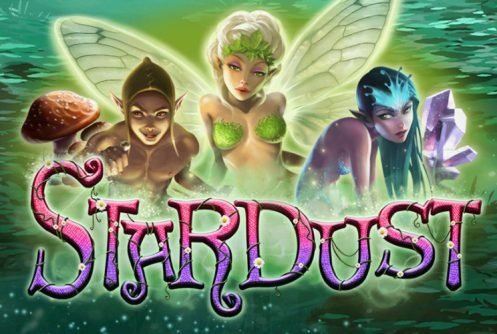 The Fairies spice things up by acting as Wild multipliers and Wilds, not to mention the decadent Free Spins feature that awards a magical 50 free spins with Wild Reels. The RTP or average return to player percentage of Stardust is above 96%. Symbols on the reels include the Green Fairy (Wild), Blue Fairy (multiplier of 4x), hive (abode of the fairies), various types of mushroom, flowers, violet crystals and choke berries. The game art of Stardust is highly animated with engaging characters, there’s no doubt it will create a new hot spot on the casino floor! 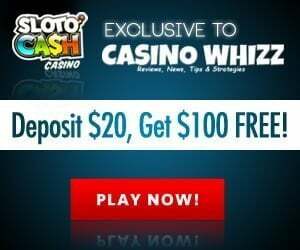 The top cash prize (non-progressive) that can be won on a single spin is 2,000x your stake. 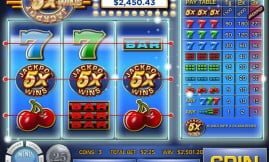 The slots is playable on mobile devices (Andoids, iOS, tablets) and PC desktops. Free play is available too and a great way to test the game mechanic before you deposit real cash. Feeling lucky? Pun intended obviously. After each spin during the main game the Lucky Feature can be triggered randomly. Once played, it changes from one to five reels into Wild reels followed by a supercharged bonus. So, why should these scantily clad fairies enjoy your attention? For one keep an eye on those Green Fairies because they are the Wilds which substitute symbols adjacent to them bar the scatter. And, they (Green Fairies) can be transformed into Blue Fairies with a multiplier of up to 4x for the big wins. 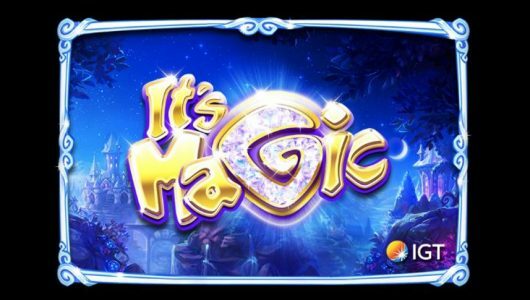 The Magical Willow free spins feature is triggered by 3, 4 or 5 Willow scatters, 8, 15 or 50 free spins are awarded. 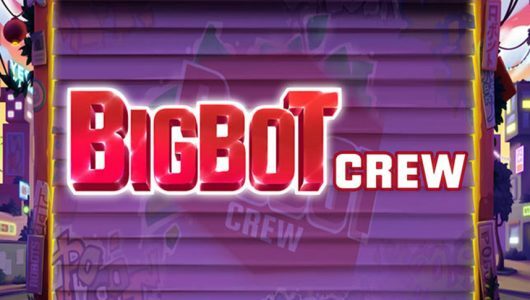 The free spins feature can be re-triggered meaning that more of the good stuff can be won. It gets better…on each free spin you can get one Wild reel too, it’s possible to get a full screen of Green Fairies. When this happens you’ll be counting notes like a Sultan. To be honest we’re not into fairies but these beauties are in a different league altogether. The big wins are tucked away in the free spins and Lucky feature, the Fairy Wilds also pop in from time to time just to say ‘Hi’. What’s Our Favorite Design Element In Stardust? In the Stardust theme we love the Wild Reels that’s incorporated into the free spins feature. How many spins does it take more or less to trigger a feature? On average, a bonus or feature should be triggered about every 45 spins. We might be wrong but our gut feeling tells us that Stardust is going to be a hit with online slot machine players. 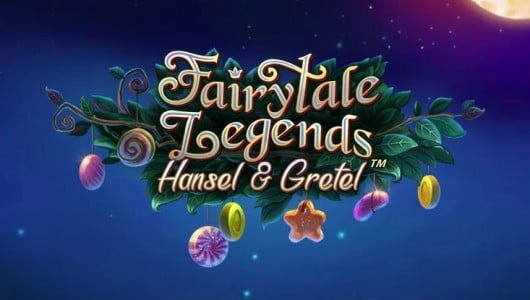 There’s a re-triggerable free spins feature that gives you a whopping 50 free spins with Wild Reels and a Fairy Wild that’s transformed into a Fairy Wild multiplier of 4x for the big wins. All in all the fairies in this enchanted forest offers lots of fun with big rewards.